The Jasenov Castle is known for the particularity that one of its owners, the Drugeth family stroke false coins in this Castle in the mid-16th century. After repeated complaints of nobles from Poland and the Kingdom of Hungary, the royal chamber ordered punishment of forgers. Master Mikuláš, who was in charge of the castle workshop, was imprisoned and later beheaded on the square of Prešov. 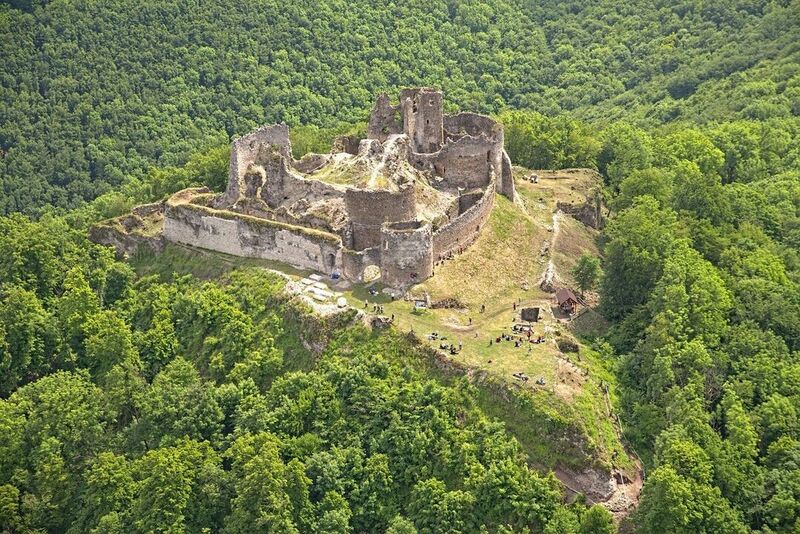 The Castle was occupied and heavily damaged by the rebellious Rákoczis troops in the mid-17th century. It is in decay ever since. Only its Renaissance gate, part of its walls, and some domes survive.